Jesse Sinclair understands that Real Estate is about people. It’s about people making an investment for the future. It’s about people finding that perfect home to raise their family. It’s about people purchasing a quality property at a fair price. That focus on people has been at the heart of Jesse’s success since he opened the door to the world of Real Estate in 2001, and it is at the heart of his practice today as a successful Realtor & Associate Broker at RE/MAX Real Estate (Central) in Calgary. For Jesse, Real Estate has always centered around family. He was inspired to become a Realtor when he saw his mother purchase her first home, and has since become a mentor to his long lost brother. So he understands the importance of every purchase and every sale, and is committed to service that continues well beyond signing on the dotted line. Jesse brings an expertise to his work that can only come with experience, and with understanding all facets of the Real Estate business. 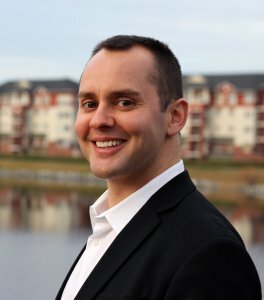 Jesse’s primary focus is providing strategic marketing strategies for home sellers, as well as locating, evaluating, and negotiating the purchase of residential homes and condominiums. Since being licensed as a Realtor, Jesse has completed the Real Estate Brokers program, performed Residential/Commercial property management services as an employee of Canmore’s largest property management company and been the Broker and co-owner of his own real estate company. His expertise includes home seller representation, online marketing, move up buyers, empty nesters, retirees, first time buyers, home builders, CCS Certified Condominium Specialist, investment properties, relocations, building design, foreclosures, residential lots, and purchase plus improvement. Jesse is a member of the RE/MAX 100% club, RE/MAX Hall of Fame, a proud supporter of the Children’s miracle network and is a member of Shriners International, a philanthropic organization supporting Shriners Hospitals for Children.